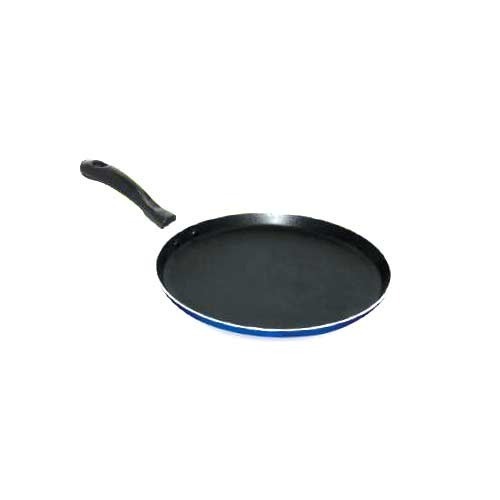 Owing to our rich industrial experience and vast knowledge, we are engaged in dealing an exquisite range of Double Coated Tawa to fulfill the needs of our customers. This is flat in surface which allows the heat to be there spread evenly as per the desire of the user. The time taken to cook in it is very less and provides perfect results. GaneshImpex established itself in the year 1995 under Sole Proprietorship based ownership. We specialize in the domain of manufacture, supply and export of a huge array of high quality kitchenware and other dishware items with our prime headquarters located at Chennai, Tamil Nadu (India). We have Kitchen Cookware, Aluminium Milk Can, Non Stick Tawa, Non Stick Frypan, Murukku Achu, Aluminium Bucket and many more in our product segment. Being durable and of international quality, our product line has been developed exclusively so as to meet the expectations of our valued customers. Latest techniques have been incorporated to develop a compliance ready range of products for food industry. Our products have been extensively demanded by households, restaurants, hotels, cuisines and others. We employ best packaging material to encase goods which keeps them safe while shipping in extreme conditions.